We love travelling with our kids. But beyond the occasional holidays, I am even more thankful for the opportunity to experience many of my kids’ first experiences with them. And out of our daily mundane routine, the highlight will be when we take the bus to and fro Z’s school. The bus ride is about 10 minutes; the wait another 10 minutes; the walk to the bus stop and from bus stop to school another 15 minutes; a total of minimum 35 minutes travel for a 3 hour school with a 3 year old, and a 1 year old in a carrier. It may seem easier to send Z to school on a school bus, but I love seeing Z breaking into a smile when he sees me first thing after school. Also I cannot justify spending $240 per month on school bus alone. The kids love walking to the bus stop, where there are many sights and sounds – an occasional picking of dried leaves or twig, the blinking of the traffic light green man that taught them road safety, questions on the road markings, and identifying the different type of cars on the road. There is no rushing through the walk (because I usually set off 1h before school!). Hydrating on a very hot day! 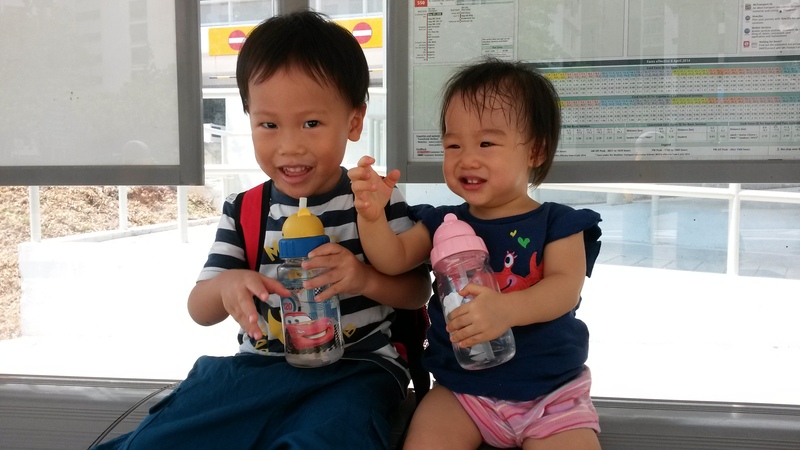 Like the song, “the wheels on the bus”, everything on the bus is relatable to them! Occasionally the double decker bus comes along, and they have an elevated view of the moving scenery. Z will always read the signs on the bus, and tell us that you cannot hold that handle because the door is opening; these seats are for the elderly, pregnant ladies, and young children; you cannot eat on the bus etc. Yes there might be the occasional rain that makes travelling challenging. But put on a raincoat, and no kids can resist running through the rain with the pitter patter around them. I rather live by the notion that when God gives you rain, splash around and dance in it. The greatest thing perhaps about the bus travel is that they get in touch with people going about their everyday life. Interactions they will miss if they were to be ferried. For you see, in the 9 months we have spent taking the bus to school daily, there are many life lessons to be learnt. We are regulars to the bus drivers, they recognize us, greet us and even wait patiently for us to be seated before moving off. My kids learn about community services. 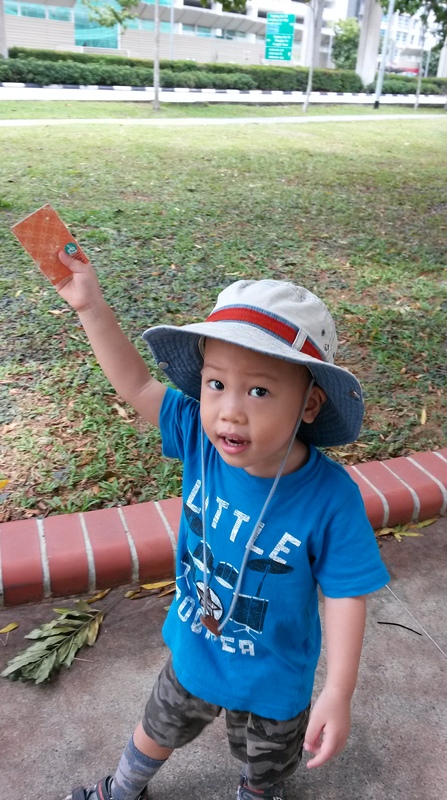 My boy taps his own ez-link card, and keeps it in his own pocket. He learns about responsibility and stewardship. 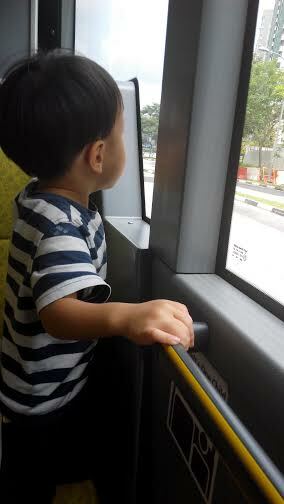 Even at 3 year old, my boy learnt to give up seats for the elderly and he will stand at times, holding with both his hands on the handle for support. He learns to empathize. Lastly, it never fails to warm my heart to share with my children the lives of others that have encouraged us on this bus journey. For we are not the only regulars on the bus. We see other mothers doing the same, and my kids learn to appreciate. 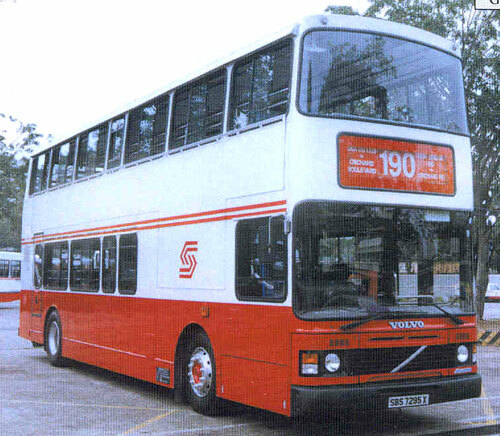 The bus 163 is also special for it passes by MINDS (a school for the intellectually challenged). I have the occasional conversations with parents and even grandparents fetching these special, joyful children. I know a grandma in her 80s who does what I do to fetch her granddaughter because her mum passed away years ago and yet is always optimistic and very fit! I know a mum who single handedly brought up 4 kids including one with Down’s syndrome and yet never fails to advise me on what to give my kids should she see them cough. I pray my kids learn to share love. I pray they learn resilience. And i pray they may learn to live for a worthy cause. Taking the bus is like living in a kampong back then when people are connected; when neighbors’ doors were not shut but always open; when minding other people’s business actually warms your heart, and when you feel your existence seeing what and who truly matters in life.